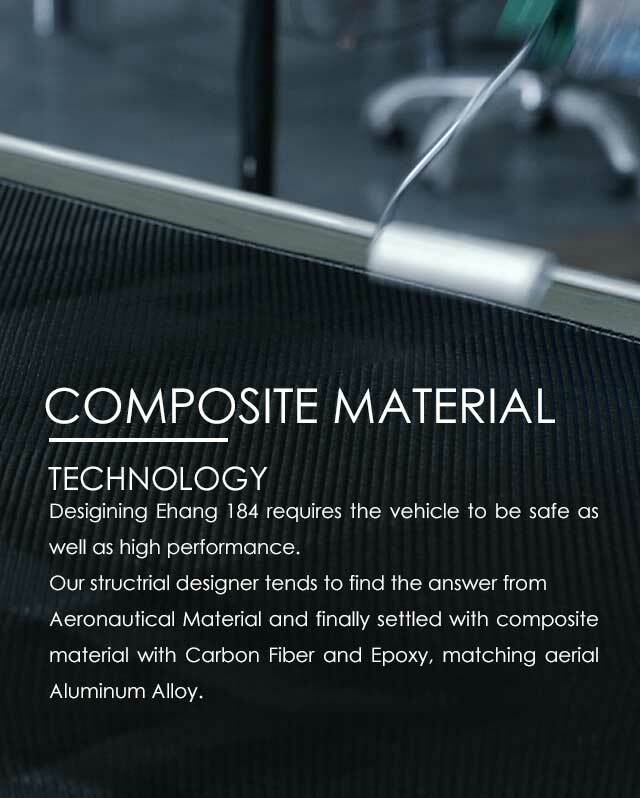 Composite material, from mold opening till manufacturing, is independently developed by Ehang composite material center. 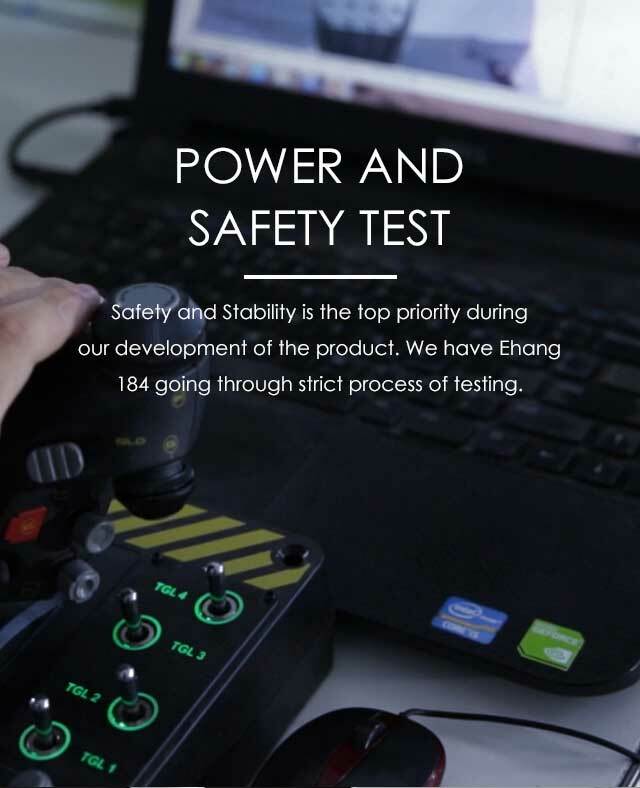 Propeller dynamic testing system and other testing system, are developed by EHANG independently. 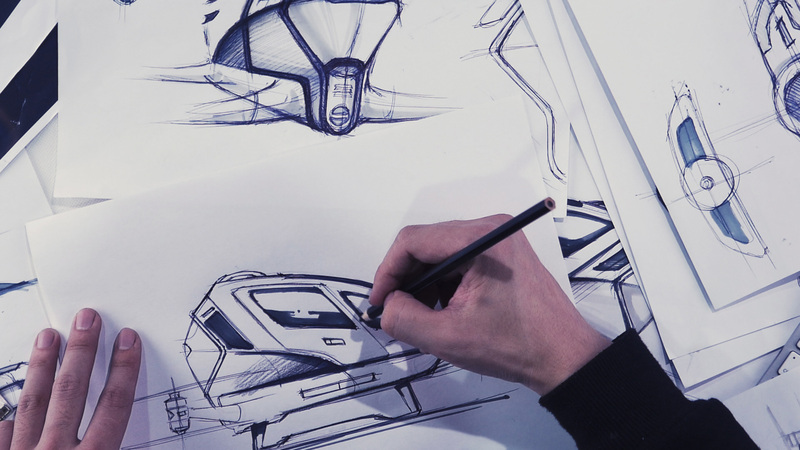 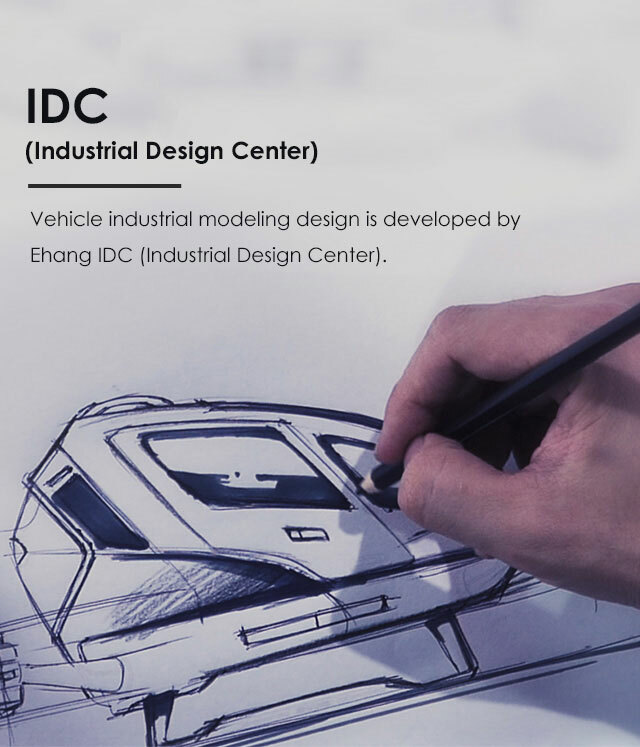 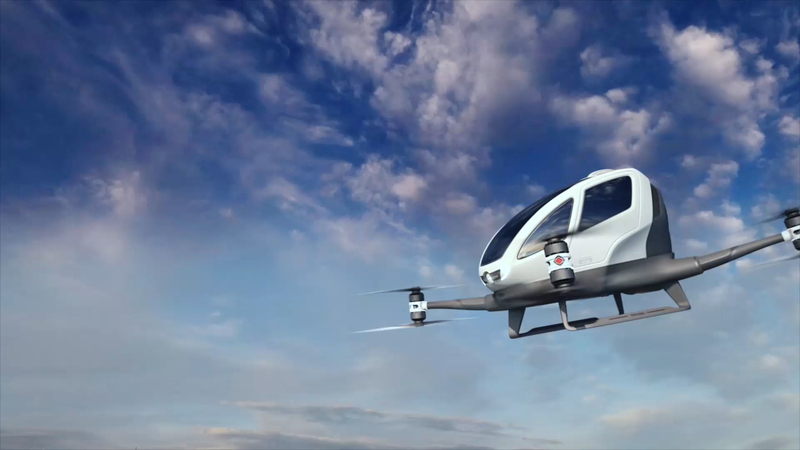 Designing Ehang 184 requires the vehicle to be safe as well as high performance. Aeronautical Material and finally settled with composite material with Carbon Fiber and Epoxy, matching aerial Aluminum Alloy. 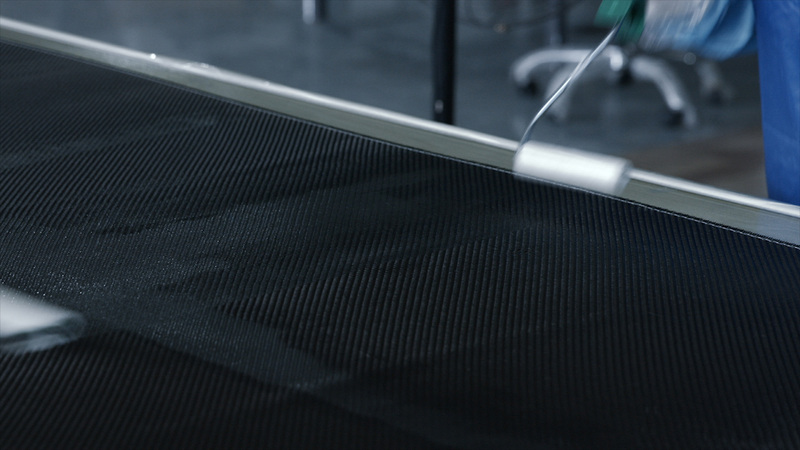 The same material is being used for space craft, lightweight and strong. 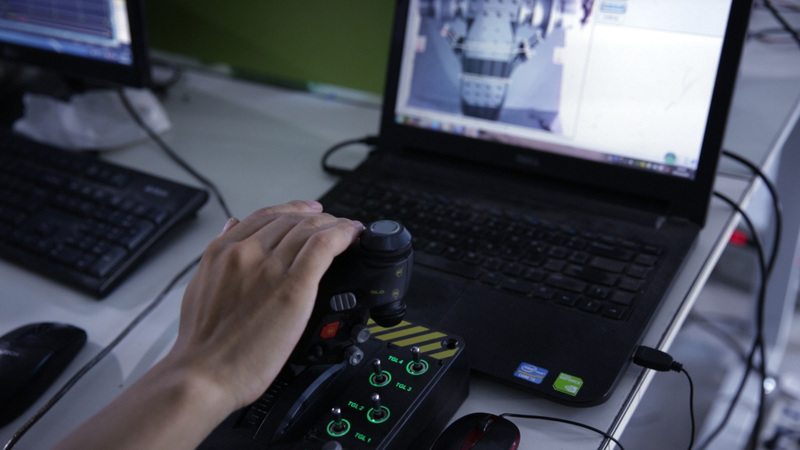 Safety and Stability is the top priority during our development of the product. 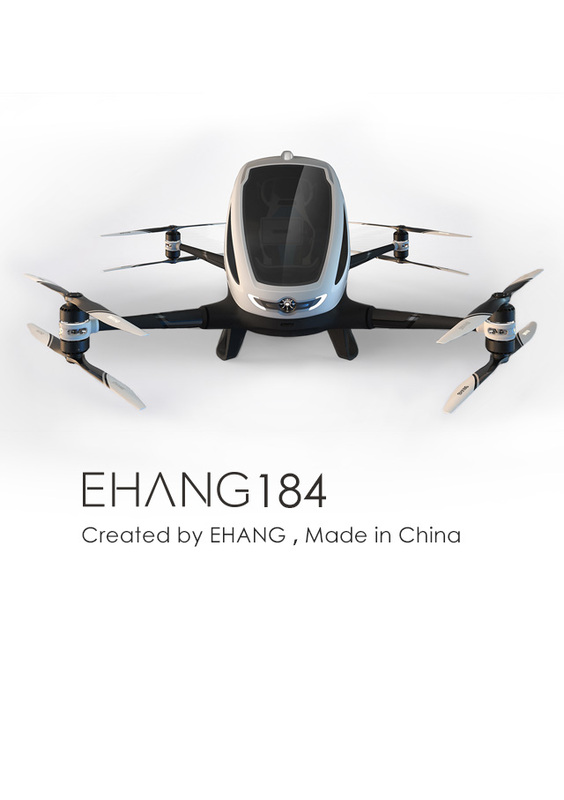 We have Ehang 184 going through strict process of testing. 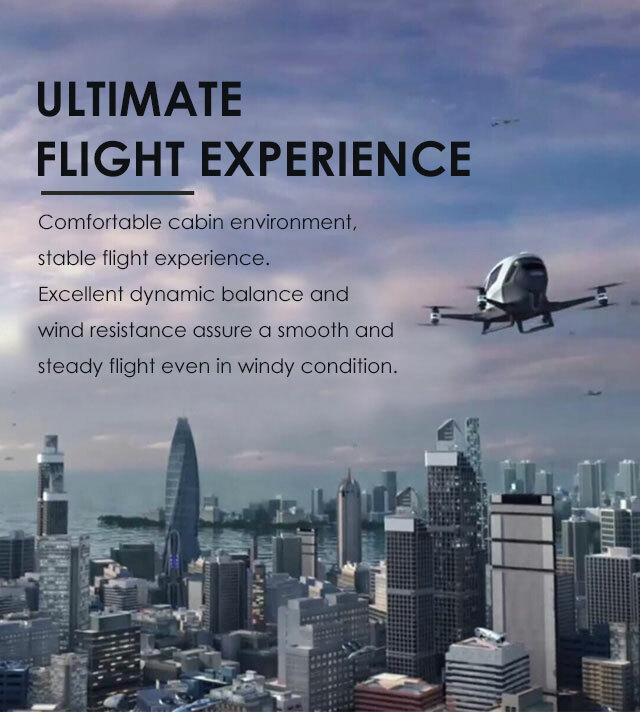 Comfortable cabin environment, stable flight experience. 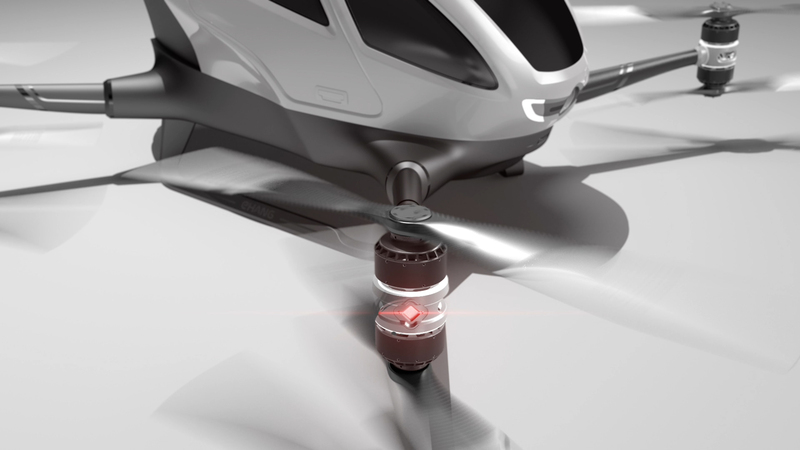 Excellent dynamic balance and wind resistance assures a smooth and steady flight even in windy condition.